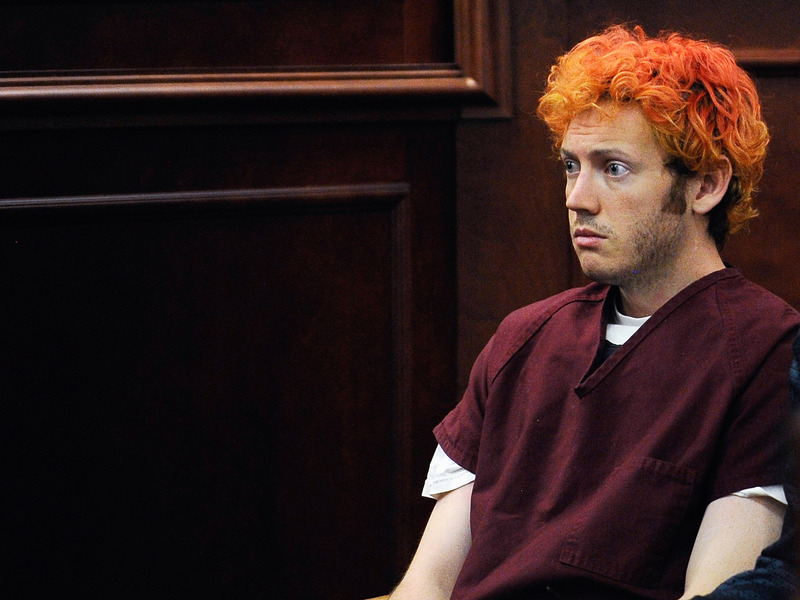 The first few weeks of Aurora shooter James Holmes' trial saw emotional testimonies from victims and survivors, as well as divisive evidence of his mental state. Now, a crucial witness has been called to the stand who could prove pivotal in the capital murder trial. On Wednesday, Holmes's ex-girlfriend, Gargi Datta, testified about his personality and their relationship, which was often times like any typical couple's but also riddled with numerous red flags that signaled he was deeply troubled. During questioning before the court adjourned, Datta revealed that she and Holmes met in 2011 when they were both attending graduate school at the University of Colorado Anschutz Medical Campus in Aurora, Colorado. He was studying neuroscience and she was studying paranoid disorders, and they shared the same Biological Basis of Psychiatric and Neurological Disorders class. In court, she described him as smart but shy. Though "he wouldn't go up and interact with people," he opened up more when they were alone. Holmes and Datta's relationship began after she invited him to a study session and he emailed her his phone number. In her testimony, she said that Holmes wrote in his email that if she texted him, he would tell her "an amazingly, best-ever world's greatest knock-knock joke." The two began spending more time together by the fall in what District Attorney George Brauchler said was Holmes' first romantic relationship. Earlier in the trial, a video showed Holmes revealing he was in love with Datta, as he described what sounded like a totally normal relationship. In the video, Holmes says they watched movies at home, had dinner together, played boardgames with friends, and he even cooked dinner for her on Valentine's Day. However, during their time together, Holmes also exhibited behavior that could have indicated a darker side. For their first date, Datta said, Holmes took her to a horror movie festival. Throughout their relationship, according to prosecutors, he sent her texts saying how he wanted to kill people, which she never took seriously. I had already told him in the start that it was a casual relationship. I didn't feel I was getting closer to him. I think he liked me more than I liked him. Five months later, Holmes opened fire in the Aurora movie theater, killing 12 people and injuring dozens more. Prosecutors have claimed that their breakup was a catalyst for the movie theater shooting. Datta was back on the stand on Thursday, when prosecutors questioned her about phone records and presented text messages between the two. According to the prosecution, phone records suggest that Holmes had called her while he was purchasing weapons to inform her that he was planning to kill people. An affidavit states that Holmes assured Datta that he wouldn't kill her because "that would be too personal."